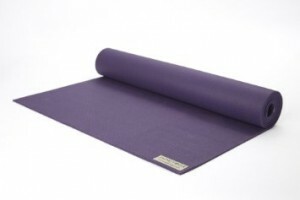 Need a New Yoga Mat? We Have 10 Great Ideas for You! If you haven’t gotten into yoga yet, you will! It’s simply the best all around exercise and stretching routine that is perfect for every age and everybody! Most people discover yoga or Pilates after an injury. When your physical therapist begins to suggest certain poses, helping you limber up and strengthen your injured muscle or body part, you quickly find that, not only does it feel great, but that it actually works! Newbie’s will pick up one of those “one size fits all” exercise mats from their local discount or sporting goods store, only to find that it really doesn’t work all that well for yoga. It might cushion the back or the behind, but they slide or that they get wet and stay wet. 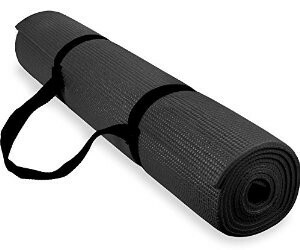 If you need a new yoga mat or if you are a beginner who doesn’t know which would be the best mat for you, we have compiled a list of 10 of the best mats around. There is something for everyone here, so be sure you check out the entire list! Made from 8o% polyester and 20% nylon, this mat is a best seller for a reason! It has a no slip finish that feels like fabric! This mat is super dense, for superior cushioning. It will dry quickly, but for all other purposes, the eQua hand towel will take care of those sweaty foreheads and palms. Bigger than most mats, this one comes in at a generous 26X72 inches. This luxurious mat comes with an easy carry strap so you can roll it up quickly and stick it in your bag or the trunk of your car. Our only complaint would be that it only comes in black, which is basic, but sometimes boring. 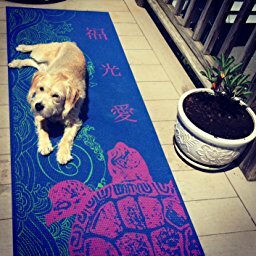 This beautiful mat is made by The Bolder Mat Company and they have other designs if turtles aren’t your thing. These are super sticky, so you aren’t sliding around on your behind during class! These beautiful mats are phthalate free and the designs are made from non-toxic, long lasting ink. You will love this one so much, we bet you get several! If you are on a budget, this is the perfect mat for you! Super affordable, comes in a variety of colors, but still measures a generous 24X72. A full ¼ inch thick, this one gets the job done! Made from a moisture resistant skin, so it stays clean and dry. 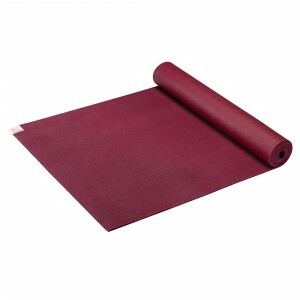 This basic mat is easy to roll, stays unrolled when in use, and comes with its own handy carrying strap. Everything you want for a bargain price. If you are looking for a mat with extra cushioning, this should be your choice. A full ½ inch thick, this one is soft enough to sleep on! Comes with a 2 year manufacturer warranty and several colors to choose from! It measures 24X71, which is a bit shorter than many mats, but works for most women. Excellent traction and cushioning power in cute colors, which is what most people are looking for in a mat, right? These are super popular and it’s easy to see why. These colorful mats are made from non-Amazon harvested tree rubber and are biodegradable. For the eco-conscious girl, this makes these mats the ultimate choice. These are super traction mats that are very lightweight compared to most. Doesn’t come with a strap, however, so be sure you buy one or make one to make it easier to carry, although it does fold up nice and neat. 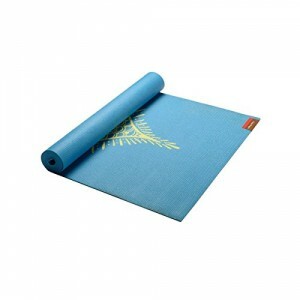 This is the perfect mat for those who want to do yoga outdoors. The perfect marriage between quality and cushioning. This mat offers premium 3/16 inch, open cell cushioning design that offers exceptional resilience. Made with no phthalates or PVC, this mat comes in 68 inch and 72 inch lengths, as well as 9 colors. 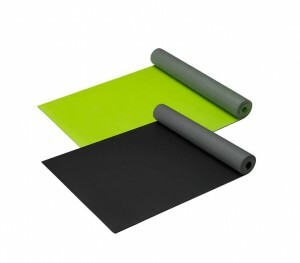 This mat is made from natural rubber, which is not only a renewable source, but is super sticky! This best selling mat has so much to offer, but the icing on the cake has to be that it is made in the good old U.S. of A! As the name suggests, this mat stays super dry and sticky, no matter how much you sweat. This is the choice for many who do Hot Yoga. This mat feels super squishy and is made from 100 percent natural rubber, which is how it stays so sticky. Measures a nice 24X68 and cleans easily with alcohol and water. 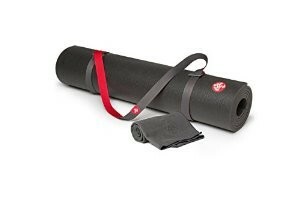 It does not come with a carrying strap, but you can buy a yoga mat bag for a few extra bucks. 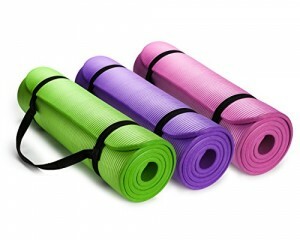 The awesome yoga mat with the funny name! This one comes in 5 different colors, each with its own hand drawn design. This one is made from PVC, which means it is super long lasting. Measures 24X68 and is very lightweight. It might not be as sticky as some other mat choices, however, but feels very secure for such a lightweight mat. This is another best seller on Amazon and with good reason. This mat is super sized at a big 26X78, so if you are on the tall side (over 5’10”), you will have plenty of room. Features the Matdt (dry technology) and a super long lasting PVC backing, while the top layer absorbs water like a sponge. Comes in two colors, black or neon green, but does not come with a strap. There are yoga bags you can buy for carrying purposes. This one is a bit on the pricey side, but if you are a beginner who really wants to do it right, this is a terrific mat! 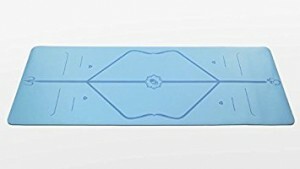 The mat has a design on the front which helps to show you where to place your feet, arms, and hands. This has a natural rubber base, so it’s super sticky, but a cushioned felt top so you don’t feel that hard floor! No PVC and no glue! This mat uses a heat bonding process that eliminates that ugly plastic smell. The reasons to do yoga are endless, so be sure you get a mat that you feel comfortable with so you will have no reason to skip sessions. 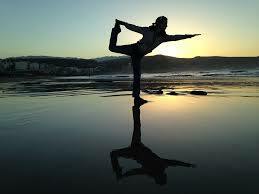 Yoga is proven to lower blood pressure, relieve stress, and clear the mind. Why not get started today?